This lab helps to identify the sequences within a DNA region that encode proteins. DNA can be read in six possible reading frames, 3 in the forward direction and 3 in the reverse direction. Each frame will result in different open reading frames (ORF), segments of DNA containing a start and stop codon that can translate into possible proteins. Lab users can first transcribe a DNA sequence into RNA and then translate it into all the potential ORFs encoded within each of the six possible translation frames. 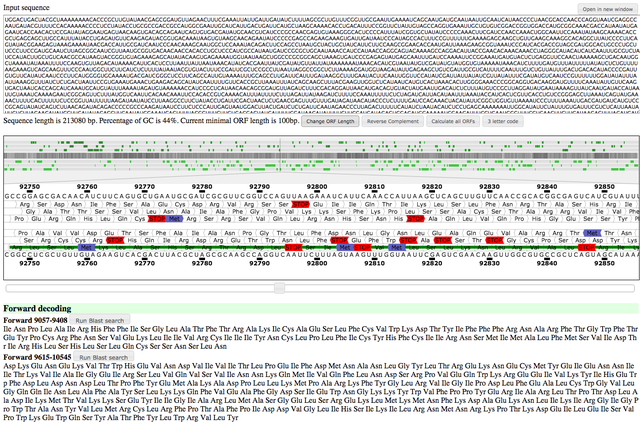 This allows users to identify the translation frame that results in the longest ORF and therefore the actual sequence of DNA within the DNA segment that encodes a protein.